A Negative Amortization Mortgage loan (NegAm) is a product in which the mortgage loan payment is less than the accrued interest due on the loan. Negative amortization loans do not reduce the principal balance of a mortgage loan. The loan balance actually increases over time as the difference in the payment and accrued interest is added to the balance of the loan. NegAm loan payments are not applied to any of the principal balance of the loan. Amortization is the reduction in the loan balance. Lower Monthly Mortgage Payments. Payments on a negative amortization loan are lower in the first few years of the loan. However, the low payment does not cover all the interest or the principal on the loan. The unpaid interest is added to the principal and the total balance of the loan increases over time. Flexibility in a Budget. Since home prices skyrocketed borrowers are often priced out the market. A negative amortization loan allows the borrower flexibility to purchase a more expensive home. Benefits for the Savvy Borrower. Utilized correctly, a NegAm can help the borrower purchase a home they could not afford with a 30-year fixed rate mortgage. Payments are kept low in the early years on the loan. Borrowers have an opportunity to increase their income during those early years. 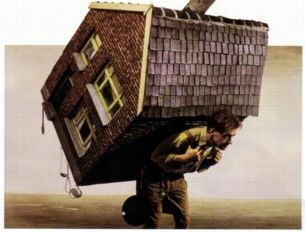 The house would have appreciated in value and the borrower can refinance at a traditional, 30-year fixed rate mortgage. To keep the loan non-negative, the borrower can pay a fully amortizing payment based on the current interest rate. Borrower Beware. Borrowers are attracted to this “teaser” rate without full knowledge of how it works. Homeowners can be left with an upside down balance on the loan. Lack of Equity. They owe more on the mortgage loan than they have equity. This puts homeowners at higher risk for default and foreclosure as they cannot refinance because they have no equity in the home. If you want to build equity in home and do not have the income to pay the current fully amortizing rate, this may not be the loan option for you.